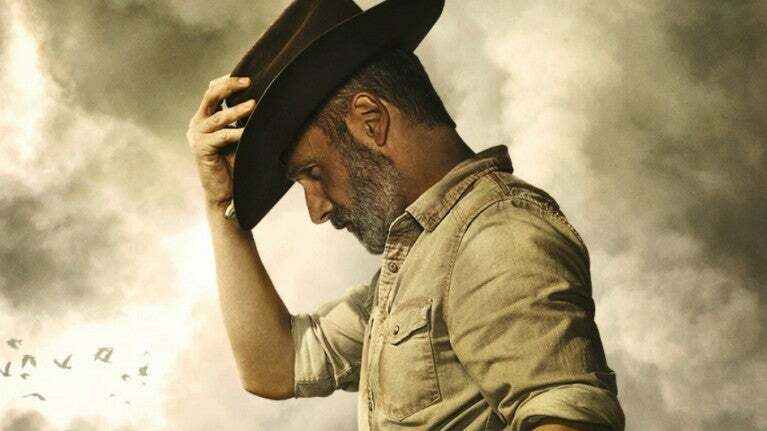 Since Andrew Lincoln exited The Walking Dead in its ninth season, AMC has been quiet in regards to the movies which will bring Rick Grimes back into the mix. Announced on November 4, 2018, The Walking Dead movies have since remained mysterious, however some new details are beginning to surface. “This is not a trick. 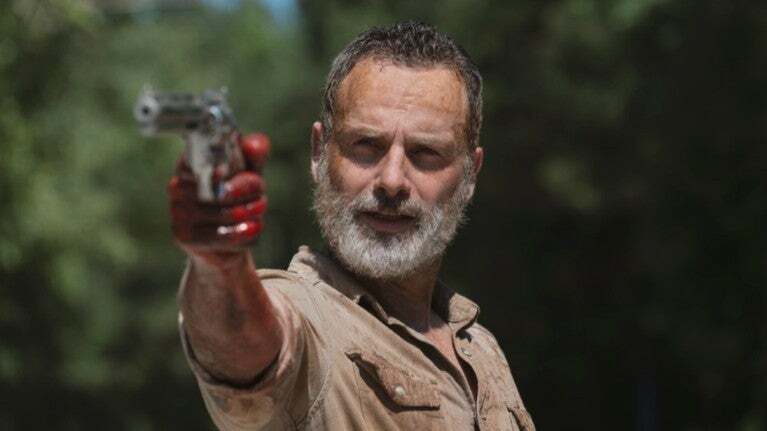 This is the end of Rick Grimes on The Walking Dead," the Dead universe's chief content officer Scott Gimple said on Talking Dead following Lincoln's final episode. "This is not going to be the end of Rick Grimes’ story." As the story goes, Rick's journey will continue in films separated from the flagship The Walking Dead TV series, airing on television with an unknown premiere date (though production is expected to begin this year). The films featuring Rick Grimes will be a trilogy. The rollout plan for the films has not yet been revealed in regards to how much time will pass between each premieres. “The first film will explore the story of where Rick is taken and what he faces in a new corner of the zombie apocalypse," AMC said in a press release. According to Gimple, this story will be told over "years," meaning the films will likely roll out with at least 12-months in between each. 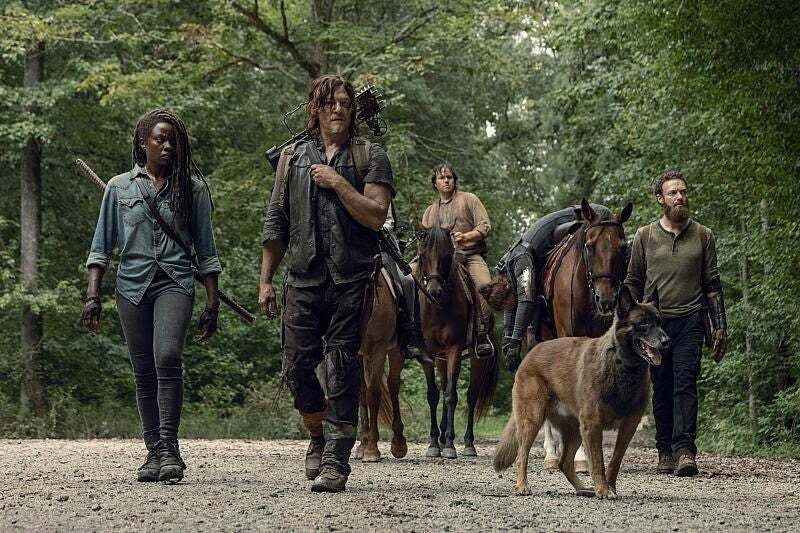 As The Walking Dead was recently renewed for a tenth season, it is unlikely the main series would be cancelled before the movies make their way out, as they will be strongly tied to the sprawling universe and its developments. 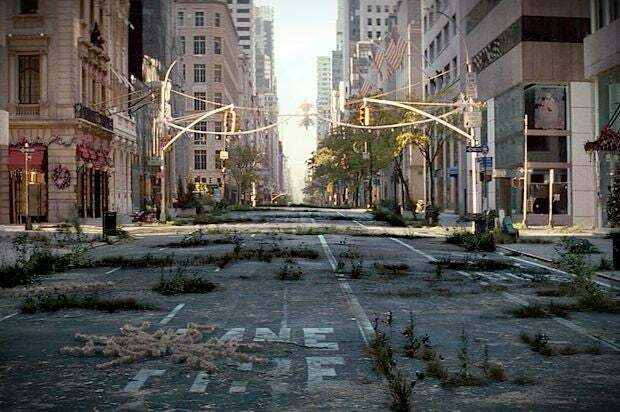 While the story of the films is being kept close the vest (and likely changing behind the scenes as time goes on), the trilogy will begin in a place similar to where The Walking Dead did in its pilot episode from 2010. Rick Grimes will be a man looking for his family. However, this search will be sidetracked by new unexplored elements of The Walking Dead universe. Whereas Rick Grimes had to get acclimated to the zombie apocalypse in Atlanta, Georgia to kick things off, he will be eager to find Michonne, Judith, and his Alexandria family while surrounded by certain sci-fi elements the main series and its spinoff have steered clear of (with the exception of one particular episode). 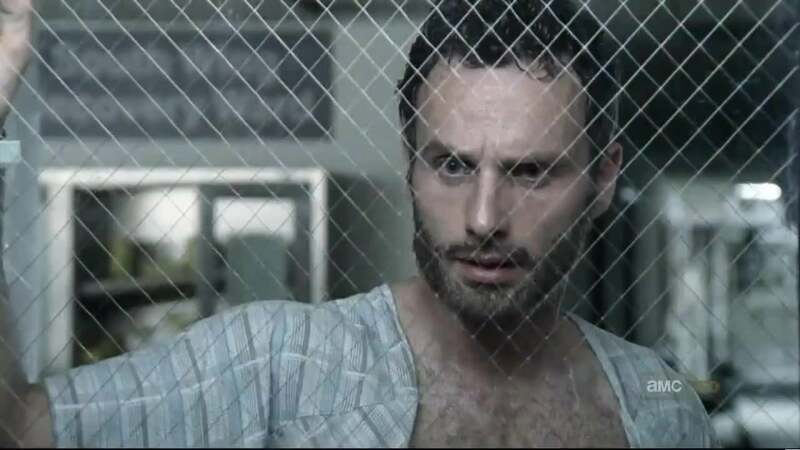 Rick Grimes and his exit from The Walking Dead was left entirely open-ended. A helicopter carried him to an unknown location. While the setting of Rick's first movie may change as plans develop and the universe and its plans expand, the original behind-the-scenes whispers claim the Georgia sheriff took a flight to a north eastern portion of the United States. The Walking Dead has explored an area ranging from Georgia, a portion of the Carolinas, northern Virginia, and Washington D.C.. Meanwhile, Fear the Walking Dead has taken audiences through California, Mexico, Texas, and Mississppi. The Walking Dead movies are expected brighten the mostly dark map in the northeast corner of the United States, in locations which were once highly populated. For star Andrew Lincoln, the most important element of going into production on his Rick Grimes movie trilogy. At the time of Lincoln's exit episode of The Walking Dead airing, a script had not been created yet. It has since begun being written by chief content officer Scott Gimple. Lincoln won't be game to bring anything to life until he sees a script he firmly believes in its narrative. While The Walking Dead's movie trilogy will begin with Rick far from his family, they may ultimately include familiar faces from The Walking Dead (and possibly Fear the Walking Dead). Newly written contracts for stars such as Norman Reedus and Melissa McBride lock the cast members into Dead universe content for three years. However, the contract extends beyond The Walking Dead itself. The newly inked deals allow for the stars to maneuver between different titles within the Dead universe, meaning they will be able to pop up in the films or on spinoff shows. Other stars whose contract negotiations are likely to include a clause allowing the actors to appear in various titles include Jeffrey Dean Morgan, Lauren Cohan, and Danai Gurira. Furthermore, names like Greg Nicotero could be popping up on the director or producer front, with the latter being more likely than the former. The Walking Dead may not stop with Rick Grimes when it comes to the movie front. AMC fully plans to expand The Walking Dead universe (which apparently might include a Maggie Rhee spinoff show) but a transition into more films could be on the horizon. 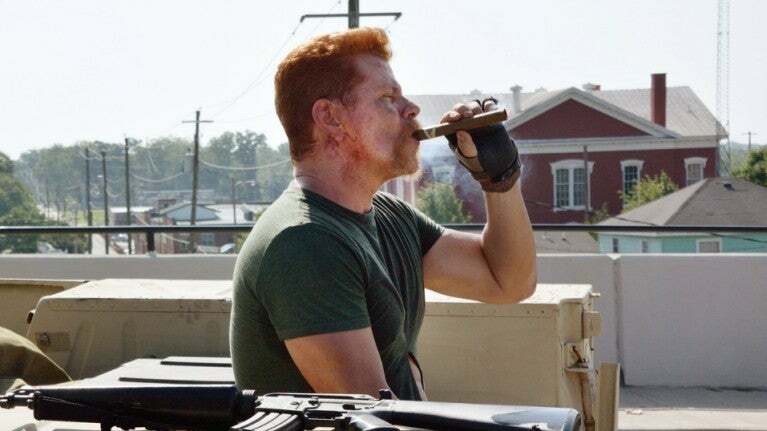 These movies could include characters who have already perished, such as Abraham Ford, or characters who are continuing to live on in either The Walking Dead or Fear the Walking Dead but in flashback form. Chief content officer Gimple has been developing these plans for years in his Warner Bros. studio lot office and, with the status of the Dead universe remaining fluid, the plans and timing are in constant flux. However, the expansions are only a matter of time.